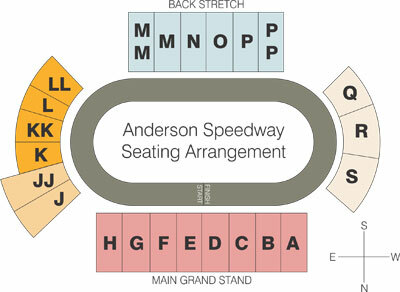 Midgets, Touring Compact Series Top Racing Action - Anderson, Indiana Speedway - Home to the World's Fastest High-Banked Quarter Mile Oval! The K&M Tool & Die Kenyon Midgets will be making their second appearance in three days this Saturday at Anderson Speedway. Defending champion Dameron Taylor won on the high banked quarter-mile oval on Thursday after a spirited battle for the top spot with point’s leader Trey Osborne. 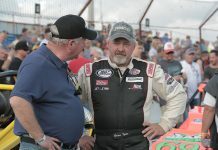 It was Taylor’s second victory of 2018 at Anderson Speedway. The Vores Compact Touring Series will be making its second appearance of the year. Justin Brown won the feature event earlier this year that saw 45 cars at the track. 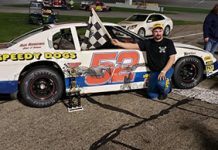 Markleville driver Tom Gossar is the most recent winner in the series scoring the victory at Angola Speedway. The Thunder Cars return to action along with the Indy FastKarts.